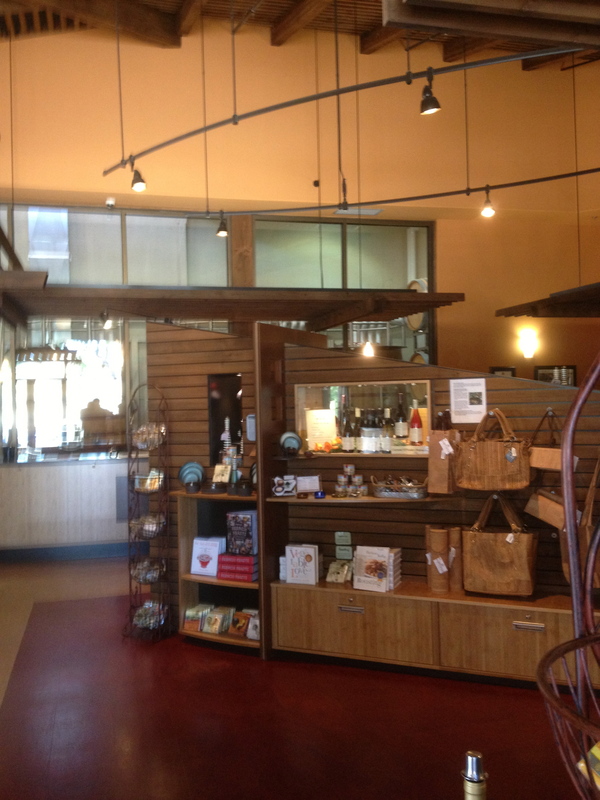 There are many reasons to like the Tablas Creek Winery other than the high quality of the wines they produce. As a patriarch that introduced Rhone varietals to the region, they continue to lead with sustainable farming and viticulture resulting in an acclaimed palate of wines and a commitment to the community. formed a partnership and began the arduous task of importing traditional Rhone vines of mourvedre, syrah, grenache, quarantined while they passed multi-year testing by the USDA. Those familiar with this area realize that as growing season days can be hot, the nights can be significantly cooler and, speaking to local winemakers, one understands their commitment to the rugged, limestone-laden vineyards. This is the terroir of the Rhone. Easy to say now, but this partnership took on the risk and the challenge to pioneer the finest region for Rhone varietals anywhere outside of France and the second Tablas Creek generation intends to search for the perfect blend through organic, biodynamic farming and the finest stock they can obtain. Tablas Creek obtained organic certification for their 120-acre estate vineyard in 2003, began farming 20 acres Biodynamically in 2010 and is progressively converting the entire operation that way. 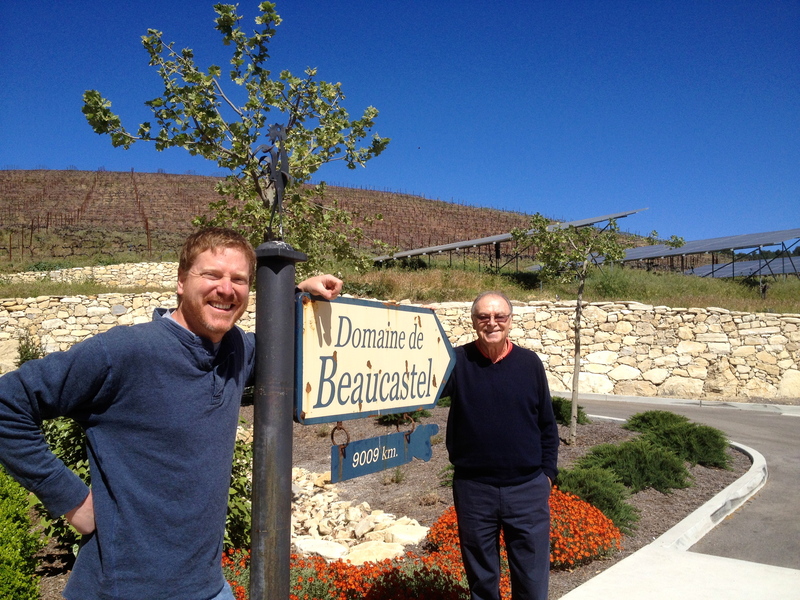 Last month I sat down with Jason Haas, son of the founder, whose first summer job was working for Chateau de Beacastel in France. By comparison, mine was at IHOP. These early experiences led to an advanced degree from Cornell, a management stint with a tech company and, eventually, back to the vineyards where he is involved in many facets of the Tablas Creek Winery operation. Looking quite different since my last visit, the winery site now has a new, contemporary tasting room facility with outdoor porch, solar panels, alpacas and sheep surrounded by those rugged, limestone-laden vineyards. 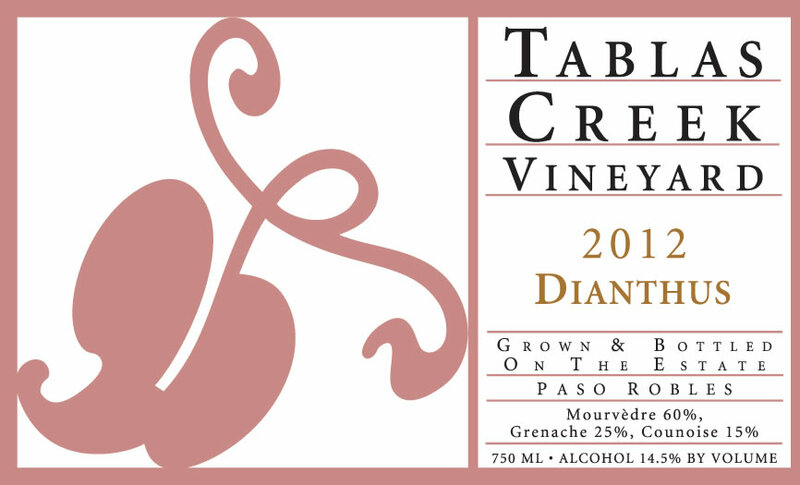 Tablas Creek blends basically fit into three brands, Espirit de Beaucastel, Cotes de Tablas and Patelin de Tablas, each with a red and white, as well as other Rose’, single varietals and some elite, small productions blends. Among many impressive wines, it was reviews of the Espirit de Beaucastel in various periodicals that peaked my interest, including numerous Top 100 lists. The mourvedre-based Espirit de Beaucastel 2010 ($55) is Tablas Creek’s, highly praised, flagship wine, consistently reviewed in the mid-90 point range. In addition to the richness, mourvedre, in this vintage, contributes the meaty, savory flavors while fruit is expressively delivered by Grenache and syrah, comprising half of the blend, along with a touch of counoise to tame the syrah, a traditional Rhone role. Both mourvedre and counoise grapes are native to Spain and were imported to the Chateaunef-du-Pape region in the 12th Century, when the papacy was in Avignon. The Espirit de Beaucastel 2010 from Paso Robles will be a pleasant introduction to anyone seeking to discover why Rhone blends have been coveted for centuries. While flavors of honey are indicative to roussanne-based white blends, I found a nice minerality on the nose through the long finish with the 2010 Espirit de Beaucastel Blanc ($40), directly attributed to the limestone in the vineyard soils. Once the roussanne/grenache blanc blend opened up in the glass, the tropical and orchard fruits emerged on the nose and palate. The Grilled Scallops with Grilled Apples and Honey Drizzle, a recipe found on the Tablas Creek Winery website, served as a perfect pair with my bottle. according to staff, produced the Grenache dominant Cotes de Tablas 2011 ($30), a wine that rivals the 2009 vintage in richness and the expression of fruit and spice. With over 75% of the blend comprised from Grenache (49%) and syrah (28%), the flavors of deeply ripened fruit and sweet spice were present when my first glass opened up. This wine reminds me why I prefer Grenache-dominant blends. Nearly equal parts viognier. Grenache blanc, roussanne and marsanne, Cotes de Tablas Blanc 2011 ($27) benefits from all grapes with a floral nose, rich orchard fruit flavors and a nice minerality throughout, courtesy of the latter two grapes. Fermentation in stainless steel tanks adds crispness to its complexity. The winery’s new Patelin de Tablas series surfaced in 2010 with the goal to produce high-quality, value-priced wines based from syrah and Grenache blanc by sourcing some grapes from as many as 15 other local vineyards. Priced at $20 each, the 2011 Patelin de Tablas ($20) and 2011 Patelin de Tablas Blanc ($20) are both nicely structured, fruit forward wines that have been recognized through the “bang for your buck” they deliver. Not respected for years, the age of new, complex rose’ is well upon us. The mourvedre-grenache-counoise blend, 2012 Dianthus Rose’ ($27) has a wonderfully complex nose but the vibrant flavors of wild berries, pomegranate and citrus are extraordinary, awarded 90 points by Wine Spectator. The single varietal that we recently tasted was the 2010 Tannat, a grape predominate in the Pyrenees Mountains of Basque country that is also used with Bordeaux blenders like cabernet sauvignon and cabernet franc. A carnivore’s delight, the 2010 Tannat ($36), at first glance looks deep and dark, like it belongs in a large glass next to your favorite steak. Expect some tannins, anticipate the full berry flavors, but focus on those earthy, smoked nuances that balances and give identity to the wine. My next bottle will be given a year to evolve. The Paso Rhone Rangers offer a great story, bringing old World wines from southern France literally to our doorstep. There in the beginning, leading for the future, Tablas Creek Winery is continuously striving to achieve success by doing it the right way. 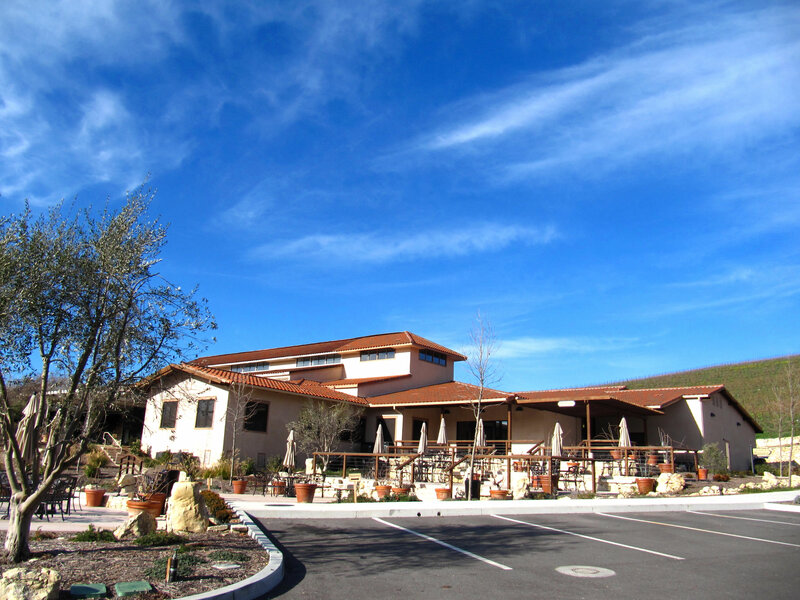 Located deep into the Westside foothills on Adelaida Road, the tasting room is open from 10am-5pm daily and should definitely be a scheduled stop on your next journey to the Paso Robles region. This entry was posted on Saturday, April 27th, 2013 at 4:06 am	and tagged with chateau de beaucastel, jason haas, perrin family, rhone varietals and posted in Wine. You can follow any responses to this entry through the RSS 2.0 feed.